The Conservative Party faces being swept from power by Jeremy Corbyn with the loss of nearly 60 seats in the event of a general election, according to new polling. Labour would become the largest party in the House of Commons with prominent Tories, including the Work and Pensions Secretary Amber Rudd and arch Brexiteer Iain Duncan Smith at “high risk” of losing their seats. The Sunday Telegraph reported that the steep fall in support was being fueled by anger among Conservative voters at the party’s failure to deliver Brexit on 29th March, despite repeated promises by Theresa May that the date would not be changed. Professor Sir John Curtice, president of the British Polling Council, told the paper that it appeared Leave voters were being drawn back to Ukip or Nigel Farage’s Brexit Party. The “poll of polls” by Electoral Calculus, based on surveys of 8,561 people between 2 and 11 April, found that in the event of an immediate general election Labour would become the largest party with 296 seats against 259 for the Tories – a net loss of 59 MPs for Mrs May’s party. But despite such a victory, Mr Corbyn would not automatically become prime minister – he could only form a government if he secured support from other parties such as the SNP. “The Conservatives’ failure so far to secure Britain’s withdrawal from the European Union is at risk of costing them dearly,” said Sir John. (p. 6). While it’s refreshing to read a story that predicts Labour winning a general election, obviously it’s still incredibly biased. It comes from the Torygraph, and follows that rag’s pro-Brexit line. But while I don’t doubt that the Tories’ continued incompetence, factionalism and May’s stubborn determination to hang on to power and force through the same tired, discredited and utterly unwanted deal, there are other powerful factors that might bring about a Labour victory. Firstly, as Mike has also pointed out this week, Remainer Tories are also being drawn towards the Tinge Group, Change UK, thus disproving their claims to be ‘centrist’ Labour. And secondly, Labour’s policies are massively popular. People want the health service renationalized and restored, electricity, water and the railways taken back into state ownership, the trade unions strengthened, workers given better employment rights and places in the boardroom, as well as the creation of a proper welfare state. All the policies that the Tories and the rest of the neoliberal establishment hate with a passion, and revile as just a return to the policies of the 1970s. But Labour are very definitely ahead in the polls, but rather than admit that this is because the Party is genuinely popular and neoliberalism and Thatcherism are dead, zombie economics, the Torygraph is trying to spin this to discredit the ‘Remain’ camp within the Tory party. But hopefully it won’t be too long before there is a Labour election victory, and the entire Tory party is swept from power and kept out for decades. Is Margaret Hodge an Hysterical, Paranoid Lunatic? I wonder about the sanity of some of the witch-hunters accusing people of anti-Semitism in the Labour party. Or at least their sense of proportion. Margaret Hodge, who claimed that Ruth George’s perfectly reasonable inquiry into whether the Labour Splitters were funded by Israel, is a case in point. She caused outrage and disgust a few months ago when she screamed at Corbyn in the House of Commons, and reviled him as ‘a f***ing anti-Semite’. For which she was duly suspended under Labour party rules that apply to everyone. This was too much for her sensitive soul, and she compared the stress this had caused her with the fear Jews in the Third Reich felt, waiting for the knock on the door from the Gestapo ready to send them to the death camps. People, who really had had family imprisoned in the concentration camps were rightly outraged. Hodge was attacked for her grossly insensitive comments by Jews, whose family had been sent to these murder factories, and also by non-Jews, who had also had family members incarcerated for their opposition to Hitler’s Reich. Like a young man, whose Sudeten German grandfather was sent there because he was a Communist. The witch-hunters were also outraged a week or so ago when Jenny Formby dared to reveal the truth about anti-Semitism in the Labour party: there actually wasn’t a lot of it, and only a very few people had actually been expelled. This was too much for them, who can’t stand the thought that anyone they’ve denounced could possibly be innocent. Hodge herself whined that this couldn’t possibly be true, as she’d denounced 200 people. 200? What party did she think she was in? The BNP, the Klan or something? The Labour party is now, thanks to Corbyn, the largest Socialist party in Europe, and as a mass party it obviously is going to include some anti-Semites. But real research shows that anti-Semitism in the Labour party has actually fallen under Corbyn, and is lower than in wider British society. Also, other Jews and Jewish groups have come forward, like Jewish Voice for Labour, and a group of Orthodox rabbis. The good rabbis said that they had absolute confidence in Corbyn, while the peeps at Jewish Voice for Labour said that although there was anti-Semitism in the party, they had never personally, or only very rarely, ever personally experienced it. These were Labour members of long standing, who had been active in their local constituency parties. But the accusations of anti-Semitism aren’t really about anti-Semitism. Not as it is defined by Wilhelm Marr, the founder of the German Bund Anti-Semiten, who coined the term. He said that it was hatred of Jews, simply as Jews. This is the standard dictionary definition. What Hodge and co see as anti-Semitism is actually criticism of Israel. And long term Jewish critics of the Israeli state and its brutal maltreatment of the Palestinians, like Norman Finkelstein, have made the point Israel defends itself by accusing its critics of being anti-Semites. And this is what has been going on here. And what the witch-hunters decide is a basis for an accusation of anti-Semitism is very, very wide. One young man was accused of anti-Semitism and expelled, or suspended, because he posted a picture of a Jobcentre sign carrying the slogan ‘Arbeit Macht Frei’, the infamous inscription above the gates of Auschwitz. His accusers maintained that he was somehow denigrating Jewish suffering in the Holocaust. But he wasn’t. He was denigrating the suffering of the jobless inflicted by the DWP under Ian Duncan Smith. Who had begun an article actually quoting this infamous slogan, and saying that it should be rehabilitated because of its usefulness in getting people back into work. It was, he wrote, part of his ethos. Not surprisingly, his editors weren’t impressed, and this part of his article was removed a few hours later. But the Gentleman Ranker had said, nonetheless. And Tony Greenstein and others also pointed out that the inscription was on all the concentration camps, whose members also included the long-term unemployed, people declared arbeitscheu, or ‘workshy’, by the Nazis. In fact Hodge’s denunciation of 200 hundred people doesn’t remind me of serious accusations, so much as the hysterical persecutions that have occurred in very repressive societies in the past. Like the witch craze in 16th and 17th century Europe, in which people could be accused of witchcraft for the flimsiest of reasons. Or the horrific purges of Stalin’s Russia, where voicing even the slightest comment, which could be considered disrespectful of the tyrant could see you arrested by the NKVD and sent to the gulags. One man was arrested simply for remarked that Stalin didn’t seem quite well when the dictator coughed or something similar during a speech. It also reminded me of all the nutters that wrote into the FBI denouncing anyone and everyone as a Communist agent during the Red scare of the Cold War. Or indeed of the quarter of the East German population that were spying on their friends and neighbours to the Stasi. It also reminds me of a very dark joke I heard once by an American comedian years ago on one of Bob Monkhouse’s shows on the Beeb in the 1980s. This was a series in which Monkhouse interviewed other comedians, including Pamela Stephenson before she returned to psychiatry. One of his guests was an American comedian, whose act included a parody of the stereotypical, racist southern sheriff. Putting on the accent and persona, the comedian told the following joke. If you know the history of lynching in the Deep South, then it’s probably not a joke. Blacks – and other minorities – were lynched for almost no reason at all, simply for being ‘disrespectful’ to Whites. And the local community would celebrate their deaths, holding a mass party and even breaking pieces off the victims bodies to take home as souvenirs. Cenk Uygur of The Young Turks has described this in one of their videos. British anti-racist YouTuber Kevin Logan has also mentioned it in one of his, complete with a photograph taken as one such lynching, showing the crowds gathering and rejoicing around two lynched Blacks. Some idea of the pressure and fear of that environment came across very clearly in the Dr. Who story at the beginning of the season about Rosa Parks. I’m not accusing Hodge of being racist. But I am accusing her of having the same paranoia that has motivated witch-hunters and persecutors, like those in Stalin’s Russia and the anti-Communist fanatics of the ’50s. So what did those 200 people do, that made her accuse them of anti-Semitism. Does she think she has the ability to see if someone’s an anti-Semite, just by looking in their eye? And did she accuse those 200 simply because they looked at her funny? It might not have been quite because of that, but I very much doubt that the reason she gave was much stronger. That this House has no confidence in the Prime Minister, due to her failure to allow the House of Commons to have a meaningful vote straight away on the withdrawal agreement and framework for future relationships between the UK and European Union, and that will be tabled immediately, Mr. Speaker. Thank you. May listens quietly throughout Corbyn’s speech with that silly smile on her face, before leaving the debating chamber in silence. Corbyn’s finally done something to force May to call a vote on the Brexit deal, as well as striking a blow at May herself. I was hoping for something like this, along with many others. I was furious at May’s decision last week to travel again to the EU to seek yet more concessions, and the results of her bungling. As Mike showed on his blog, she achieved nothing except to make things worse as the EU removed some of the clauses which would have worked in our favour. May is an absolute liability to this country and the welfare, health and livelihood of its citizens. Thatcher had the good grace to leave when the Tories held a ‘No Confidence’ vote against her, and she actually had more votes than May. But then, there were also riots breaking out all over the country protesting against her iniquitous poll tax. Does that mean that the people of this country have to do the same to get rid of her? I sincerely hope not, but this is what it looks like. And despite all her verbiage about people coming back together to get the best deal for Brexit, she has done nothing of the kind to do this. The country is still as divided as ever, and the pundits in the papers over the past month have been worrying about this almost as if a civil war was about to break out. Which it isn’t, thank heaven, and the newspaper’s predictions and alarms just show how hysterical and alarmist they are. I hope this vote succeeds. I hope that it forces the vote on the Brexit deal to be held this week, before Tweezer can postpone it further into Never-Never Land. And I hope she goes. Now. Mike’s put up several articles pointing out that Tweezer’s Brexit deal is incredibly desperate. No-one wants it, whether they’re extreme-right Leave supporters, or left-wing Remainers. Or even left-wing Leave supporters, who certainly exist and were one element in the vote to Leave last year. Tweezer has thus been running around trying to get the British public to support it, and has appealed to the Labour party to do so as well. 26 Labour party MPs turned up to the Tory briefing, and at present they’re undecided. Only half of them will vote for it, if that. And if they do, then they will earn the hatred and resentment of the voters, who put them in parliament for their betrayal of ordinary working people to the Tories. (The) Prime Minister says that if we reject this deal, it will take us back to square one. The truth is, Mr Speaker, under this government we’ve never got beyond square one, the botched deal is a bad deal for this country, and all yesterday did is mark the end of this government’s failed and miserable negotiations, there can be no doubt that this deal would leave us with the worst of all worlds, no say over future rules and no certainty for the future. Ploughing on is not stoic, it’s an act of national self-harm. The Prime Minister may have achieved agreement across 27 heads of state, but she’s lost support of the country. This deal is not a plan for the future of Britain, so for the good of the nation, the House has very little choice but to reject this deal. I hope the whole deal collapses, along with May’s government, they have to call a new election and Corbyn wins. If Tweezer gets kicked out tomorrow, it won’t be too soon. Last week I put up a post about the internet petition demanding a referendum on the House of Lords. In this report from RT, Polly Boiko discusses the statement from Jeremy Corbyn that he wants to abolish the House and replace it with a democratically elected upper chamber. She states that this is an issue that comes up every so many years. Corbyn’s spokesman, Seamus Milne, states that the House of Lords is an anachronism, and that Labour means to carry out its pledge to abolish it. In the meantime, the Labour leader has said that he will only appoint Labour politicians to the House if the promise to support its abolition, which Boiko rightly describes as them voting themselves out of a job. She points out that people have accused the Lords of being unrepresentative. The average age of its members is 69, and they collected £300 in expenses from the state per day, sometimes for not doing very much. She also discusses how, in its 700 years of existence, the Lords has also had its fair share of scandals and sleep. This is followed by a clip of one of the Lords disturbing the Lady sitting next to him by telling the rest of the House that she is one of the very few still alive from the time of the Second World War. A second clip shows another member of the Lords apologising for not being in his place to answer a question, and announcing that he intends to tender his resignation. Boiko goes on to discuss how the government is also attacking the House of Lords after they rejected its Brexit legislation. This has been thrown back at the government by the peers 15 times in the last two weeks. She points out that there has always been tension about the Lords and its role. Its opponents claim that it is undemocratic and blocks legislation from the elected lower House. It’s supporters maintain that it does its job of holding the government to account. She goes on to add that this time there is the internet petition about the House of Lords, which has reached 150,000 signatures. This means that it has passed the threshold for discussion in parliament, and is due to be debated on June 18th. I can remember when this issue was raised way back in 1986, when the Labour party recommended the abolition of the House of Lords and its transformation into an elected senate. Or something like it. It is an anachronism of feudal, hereditary privilege, and has far too many members. There are about 900 of them, which is more than the members of the Chinese parliament. It’s one advantage, from what I’ve heard, is that it’s cheap, while Private Eye considered that an elected senate lacks any popular enthusiasm and would only attract second-rate politicians. I think that the continued existence of the House of Lords will become increasingly controversial as prime ministers continue to stuff it with their cronies and supporters, as Tweezer wants to do to push through her Brexit legislation. The House of Lords desperately needs to be properly reformed and for its membership to be considerably reduced, if it is not to fall into further disrepute. 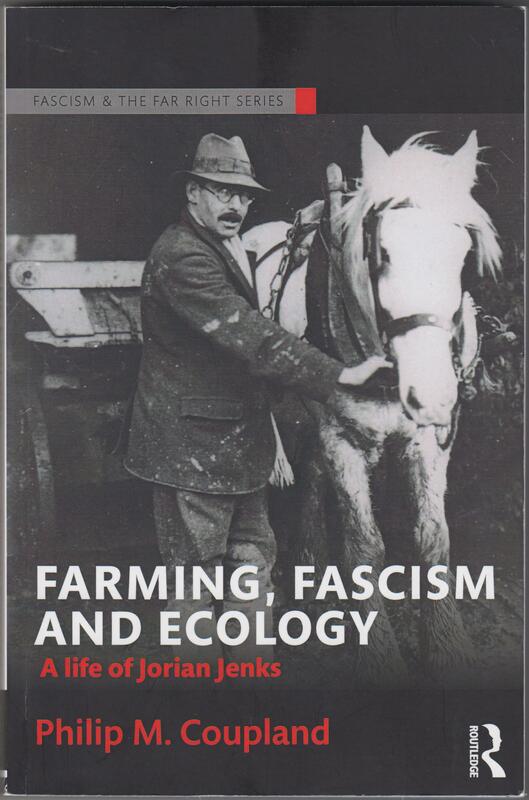 On Sunday night, Lobster put up my review for them of Philip M. Coupland’s Farming, Fascism and Ecology: A Life of Jorian Jenks (Abingdon: Routledge 2017). Jenks was the son of a Liberal lawyer, but from childhood he always wanted to be a farmer. After studying at agricultural college in Britain, he then went to New Zealand to seek his fortune there. He couldn’t acquire a farm, and so worked as an agricultural official for the New Zealand government. He returned to Britain to begin an agricultural career over here, becoming one of the pioneers of the nascent Green and organic movements. Jenks was convinced that laissez faire economics was creating massive soil erosion and infertility. If this was not checked, mass starvation and famine would result. He believed that Britain should concentrate on developing its own agriculture to the fullest extent possible, and not live ‘parasitically’ from the produce of its colonies. This was disastrous for them, and forced the peoples of those colonies into poverty as they were forced to subsidise the production of the goods they exported to the motherland. Jenks wished to see a return to an organic, agricultural society to replace the passive proletariat into which working people had been depressed. He was bitterly critical of the influence of finance capitalism, which he believed manipulated politics from behind the scenes. Due to its covert influence, democracy was a sham. Jenks was sincere in his desire to improve conditions for farmers and farm workers, and was part of a series of non-party political organisations which worked to accomplish this, whose members also included socialists. He joined the BUF and wrote several articles for their magazine, and drafted their agricultural policy, because he found that Mosley’s ideas for the regeneration of British agriculture were very much in line with his own. Mosley’s went much further, however, and demanded the establishment of an agricultural corporation which would include representatives of the farmers, farm workers’ union, and consumers, as part of a Fascist corporative state. Jenks was a founder member of the Soil Association, but because of his Fascist politics, he’s obviously an extremely controversial figure. 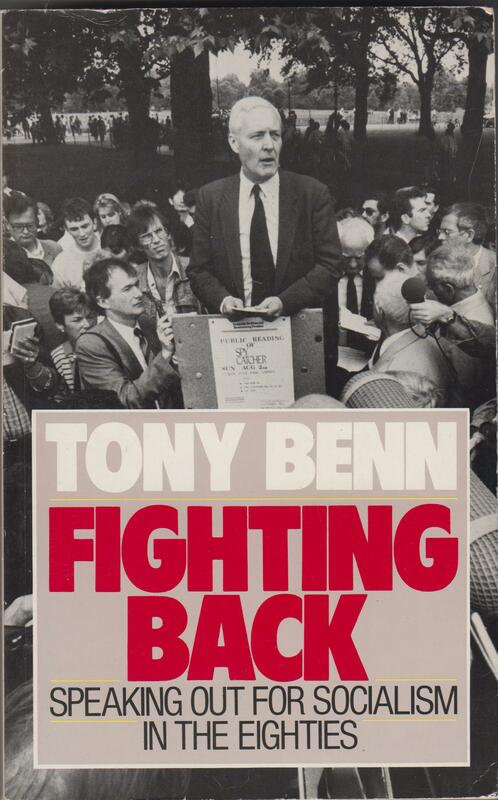 Coupland’s book notes how Jenks has been used by figures on both the Left and Right to discredit the Green movement, and how he was denounced by the present head of the Soil Association, Jonathan Dimbleby. 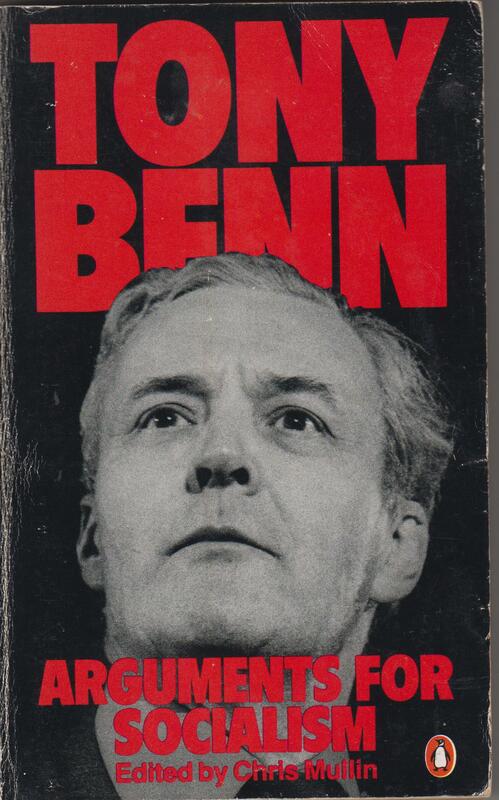 Jenks is therefore interesting as the subject of a biography, not just in himself, but also in the wider context of British politics, Fascism and the emergence of the British and global Green movement. He was in contact with the leaders of similar movements around the world, including America and New Zealand, where the heads of these organisations were Jewish, as well as Germany. There much of the early Green movement disgustingly appears to have been founded by Nazis like Walter Darre, the head of Hitler’s agricultural department and ‘Reich Peasant Leader’. [s]o long as you don’t have to foot the bill it’s easy to be sentimental about him as it is to be sentimental about the Jews. But the result in each case is that the poor defenceless creature ultimately takes possession. Any sensible person will agree that the best way to stop cruelty to rabbits is to abolish them, and if modern methods could be systematically applied, abolition is by no means impossible. A year or so later, Jenks commended Colonel Leonard Ropner, MP for his denunciation in the House of Commons of rabbits as ‘a plague’ and for his statement that ‘If virtual extermination cannot be obtained, the next best thing is to provide effective control.’ In a scarcely veiled reference to the Jews, he continued that [t]he attitude of British Union towards the rabbits is similar to its attitude towards the two-legged plague – Britons First. There is then but one solution; to remove anti-Semitism by removing the Semite, to relieve irritation by removing the irritant,, to end the circumstances which have made the Jew a parasite by bringing about the re-integration of the Jewish nation. In regaining contact with the soil, it would set the Jewish character on a broader basis; in regaining national dignity, it would triumphantly fulfil its racial destiny. In withdrawing its disturbing influence from other nations, it would obtain peace and goodwill in place of strife and animosity. (Pp. 103-4). I’m writing about his vile views of the Jews, and recommendations that they be expelled and given a homeland elsewhere, in order to criticise and attack one of the other arguments used to smear Mike and very many other, decent people as anti-Semites because they had the temerity to mention the Ha’avara Agreement. This was the brief pact Hitler made with the Zionists to send Jews to Palestine, then under the British Mandate, before the Nazis decided on their vile ‘Final Solution’ in 1942. But according to the Blairites and the Israel lobby, if you mention this, as Ken Livingstone did, you’re an anti-Semite. Mike did, as part of his defence of Livingstone in his ‘The Livingstone Presumption’, and like Red Ken, he was duly smeared. It is an historical fact, however, that many of the people, who demanded a separate homeland for the Jews were anti-Semites and Fascists. They wanted them to be given a homeland elsewhere as a way of removing them from their real homelands in Europe. And the last paragraph, in which Jenks describes how the Jewish people would benefit from having a homeland of their own, is actually very close indeed, if not identical, to the aspirations of the Zionists themselves. They too hoped that anti-Semitism would cease if Jews became like other peoples and had a homeland of their own. And Mike, Red Ken and the others, who discussed this, were not anti-Semites for doing so. The smears against them were a vicious attempt by the Israel lobby to suppress and rewrite history in order to deal with their opponents in the Labour party. It’s time Mike and the other decent people, who’ve been libelled and smeared, had justice and were reinstated. And for those, who libelled them instead to be investigated and brought to account for their libels. My review is at Lobster 76. Go over to the Lobster site, click on ’76’, and then click on article when it appears on the contents.